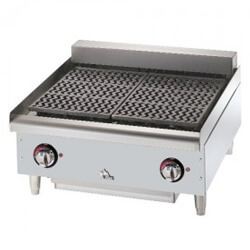 If you are looking for a commercial charbroiler for your restaurant, stop by Mission Restaurant Supply and check out our quality selection by manufacturers like Star Mfg, Vulcan, Vollrath and Wolf to name a few! 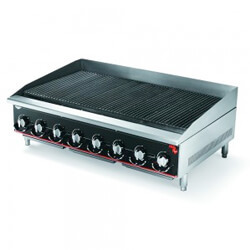 We carry both lava rock charbroilers and radiant gas charbroilers, as well as electric charbroilers in all different sizes so you can find the right piece of equipment for your specific needs and cooking application. 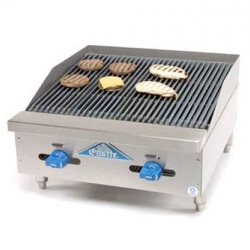 Enjoy great prices and the best product selection on the web when you shop for Commercial Charbroilers at Mission Restaurant Supply!